Today’s canine companions have many health issues – stemming from improper diet, environmental toxins, medications and suppressed immune systems. A strong immune system is the ultimate defense against dis-ease. Natural rearing for natural immunity is the key! 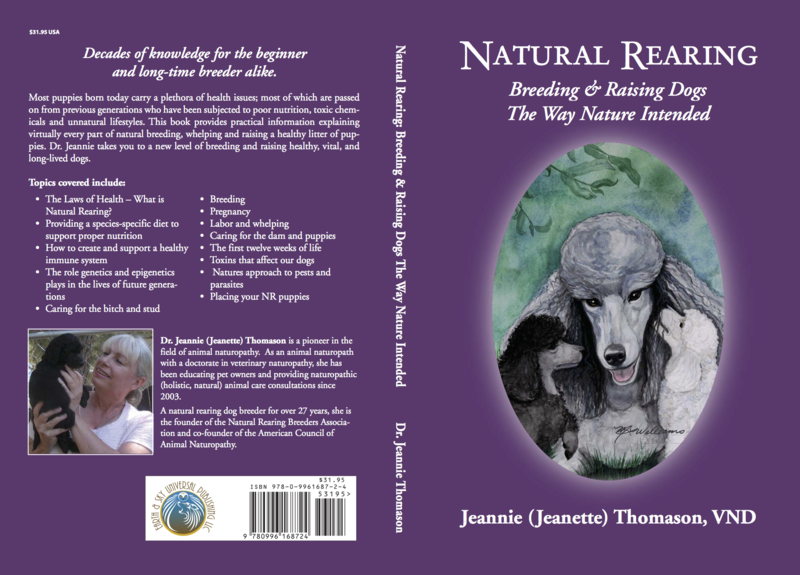 Dr. Jeannie Thomason, a pioneer in the field of animal naturopathy and a natural rearing dog breeder of over 25 years, brings you decades of knowledge and experience for the beginner and long time breeder alike. Natural Rearing covers holistic/naturopathic methods and protocols to help you raise truly healthy dogs. Providing information on virtually every aspect of natural rearing breeding, whelping and raising a truly healthy (mind/body/spirit) litter of puppies. Most puppies born today carry a plethora of health issues: most of which are passed on from previous generations who have been subjected to poor nutrition, toxic chemicals, and unnatural lifestyles. 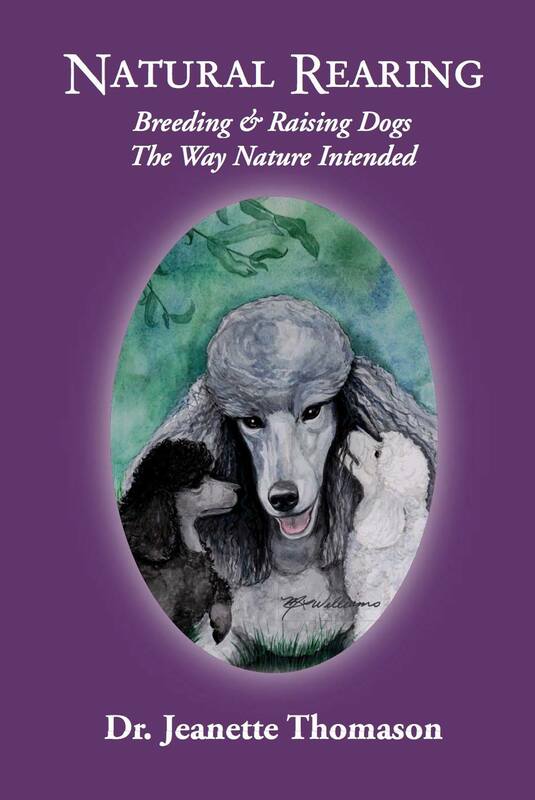 Tthis book provides practical information explaining virtually every part of natural breeding, whelping and raising a healthy litter of puppies. Dr. Jeannie takes you to a new level of breeding and raising healthy, vital and long-lived dogs. *The Laws of Health - What is Natural Rearing? Dr. Jeannie (Jeanette) Thomason is a pioneer in the field of animal naturopathy. As an animal naturopath with a doctorate in veterinary naturopathy, she has been educating pet owners and providing naturopathic (holistic, natural) animal care consultations since 2003. A natural rearing dog breeder for over 27 years, she is the founder of the Natural Rearing Breeders Association and co-founder of the American Council of Animal Naturopathy.